Tibetan only. 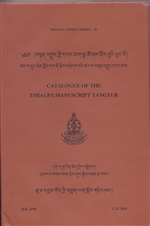 Edited and Annotated by Dr. Jampa Samten. Published by Central University of Tibetan Studies, 2016. Hardcover, 372 pages.